/ Do You Know Your Stop Smoking Side Effects ? It takes so much more effort to give up smoking than people realize which is why it is really important to know what the stop smoking side effects are BEFORE you give up. This will enable you to be prepared for them and to make sure that you are ready to deal with them and not end up smoking again. So do you want to know what these side effects are and what you can do to combat them so that you don’t have to put up with the pain and the anguish? Well read on and see what you might have coming your way. It can be really hard to find the strength to give up smoking. This is often what causes people to start smoking again after they have given up. They find some of the symptoms too hard to deal with. If you combine that with a lack of willpower and it means that you aren’t likely to get very far. So because of this, there are two things that you can do. The first is to build up your stamina and willpower so that even the worst symptoms won’t deter you back to smoking. 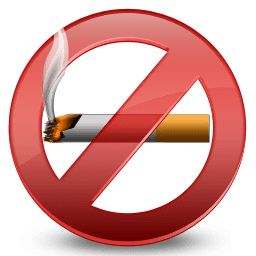 The second option is to be prepared for the stop smoking side effects so that you can deal with them quickly and effectively when they come your way. But what are the worst stop smoking side effects that so many people find hard to overcome? Well because your body is addicted to the nicotine in tobacco, it is the withdrawal symptoms that most people find hard. Your body craves nicotine and is doing everything it can to make you pick a cigarette back up. From making you irritable to giving you migraines, your body is screaming out for this drug, and this scream can be hard to ignore. Most people use nicotine replacement products such as gum or tablets to help wean their bodies off the nicotine. These products help you to reduce the amount of nicotine your body receives every day and therefore lessen the cravings you’ll feel. 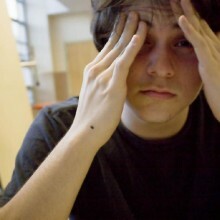 There are other symptoms that you might find irritating such as headaches, chest pains, and a sore throat. There are plenty of over drug store medicines that can help with these symptoms so try to deal with them as soon as they arise so that they don’t become a bigger problem that will cause you to go back to smoking again.